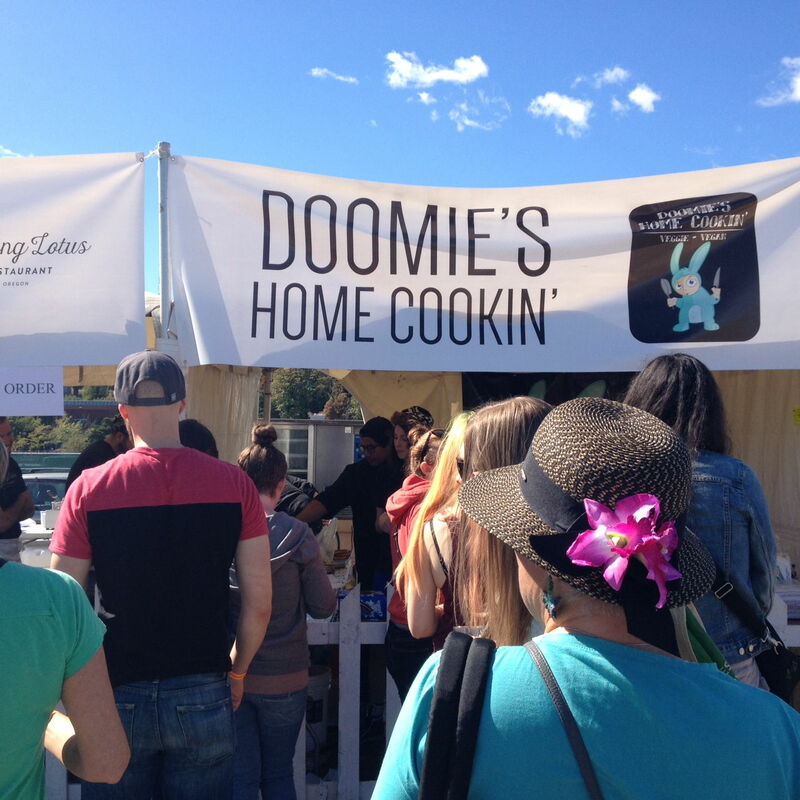 Food Trucks | Oh, she cooks! 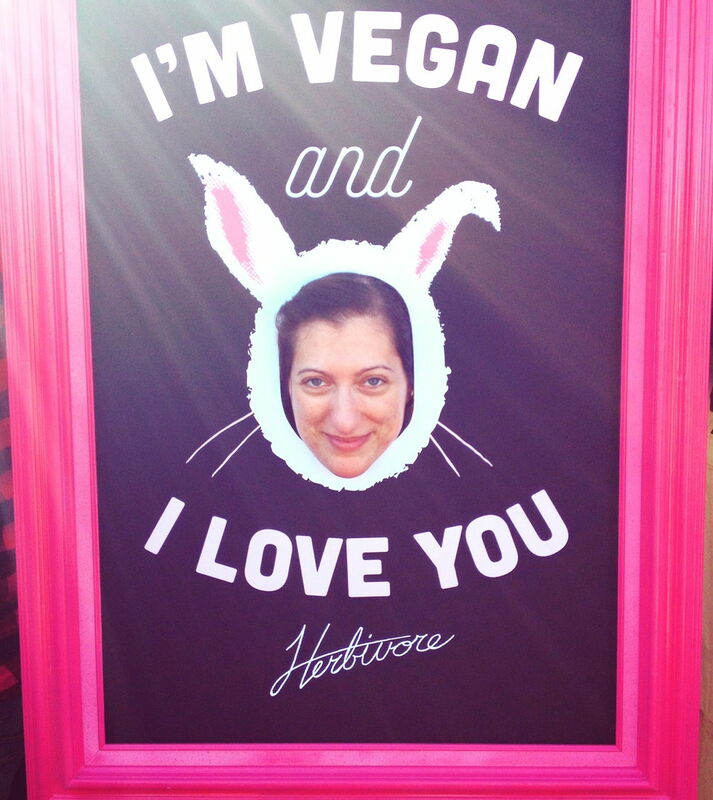 At the Herbivore Clothing booth! 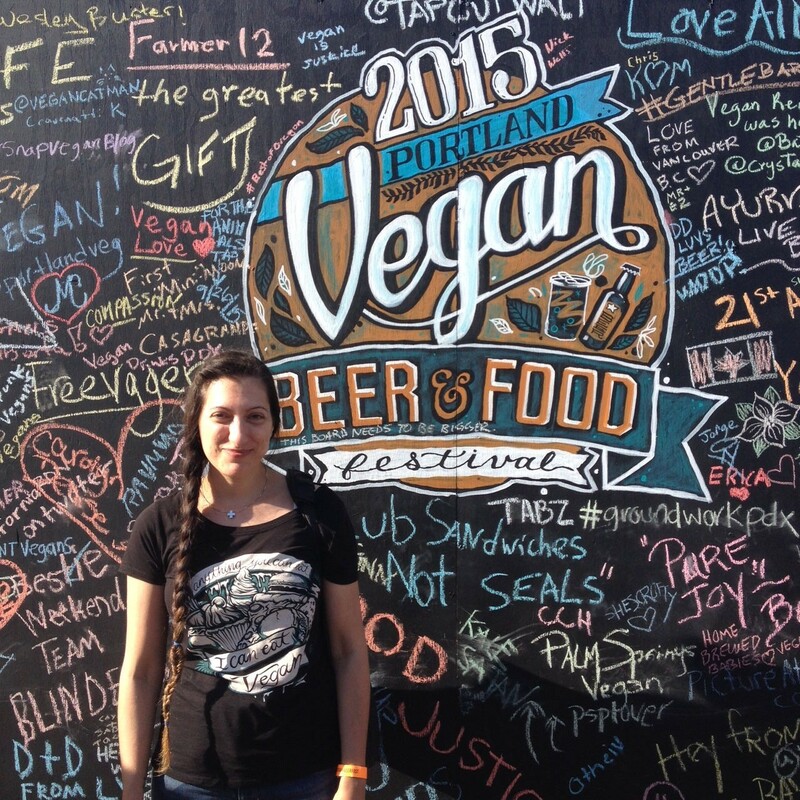 FINALLY sorted through my tons of pictures from the Portland Vegan Beer & Food Festival from September 26th! If my BFF has to live on the other side of the country, I’m glad she picked a super vegan-friendly place :D I was due for a visit and this seemed too perfect. 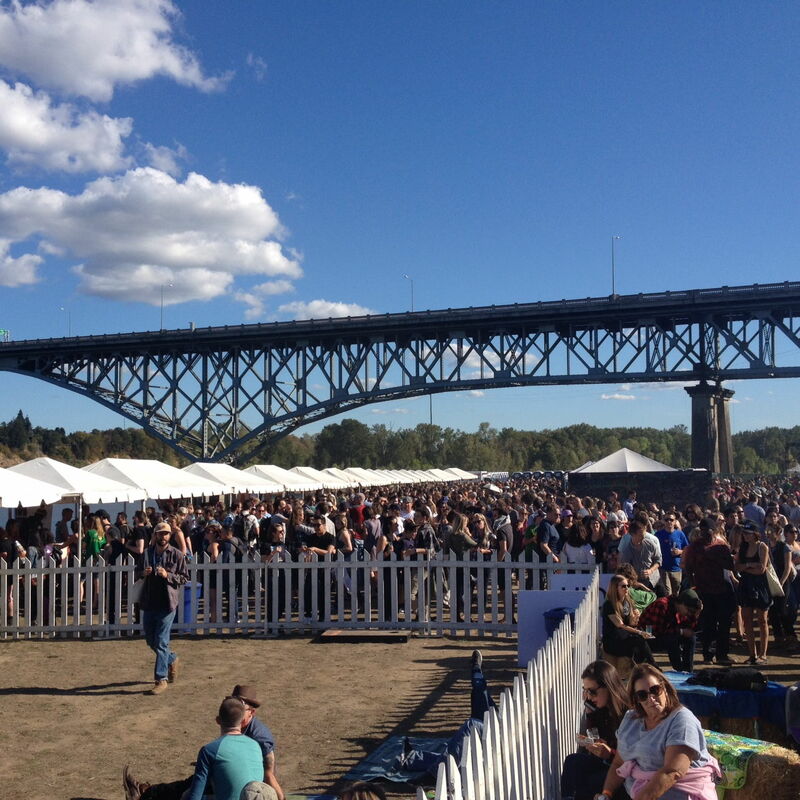 We were lucky enough to win tickets, but even if you paid, it was a decent price and for a good cause – with a $25 non-drinking ticket you got admission to the event, three concerts, and unlimited pours of kombucha. For $45 you got the same, plus unlimited pours of beer. For the $65 VIP ticket you got the same, but you also got in an hour early to beat the crowd and not have to wait in line, and you got access to the VIP lounge. There was also a designated driver ticket, I think it might have been $35? 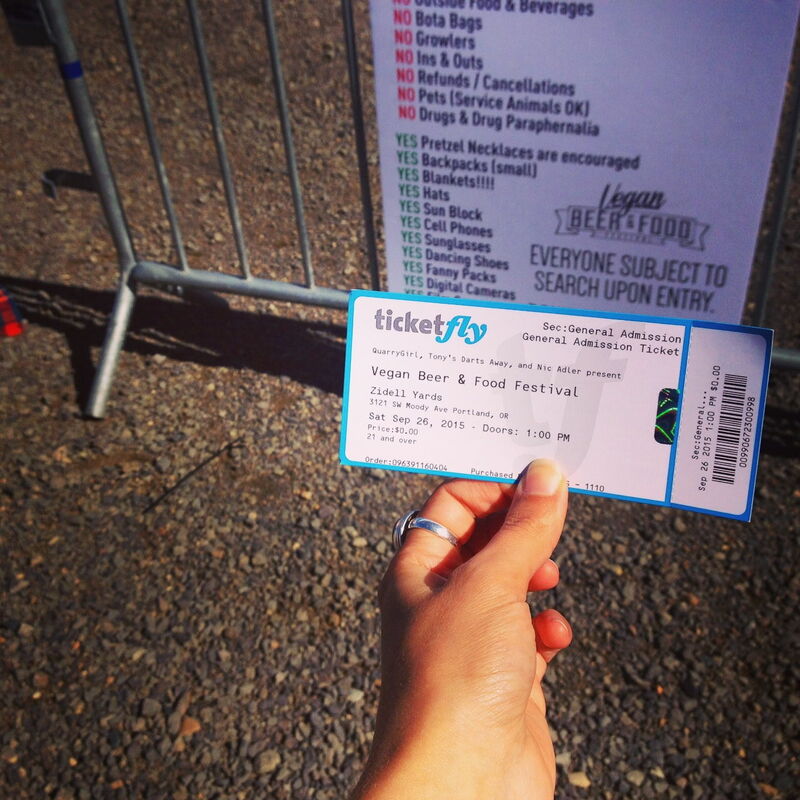 It’s the same as the non-drinking ticket, but with VIP access. And proceeds went to Out to Pasture Sanctuary. 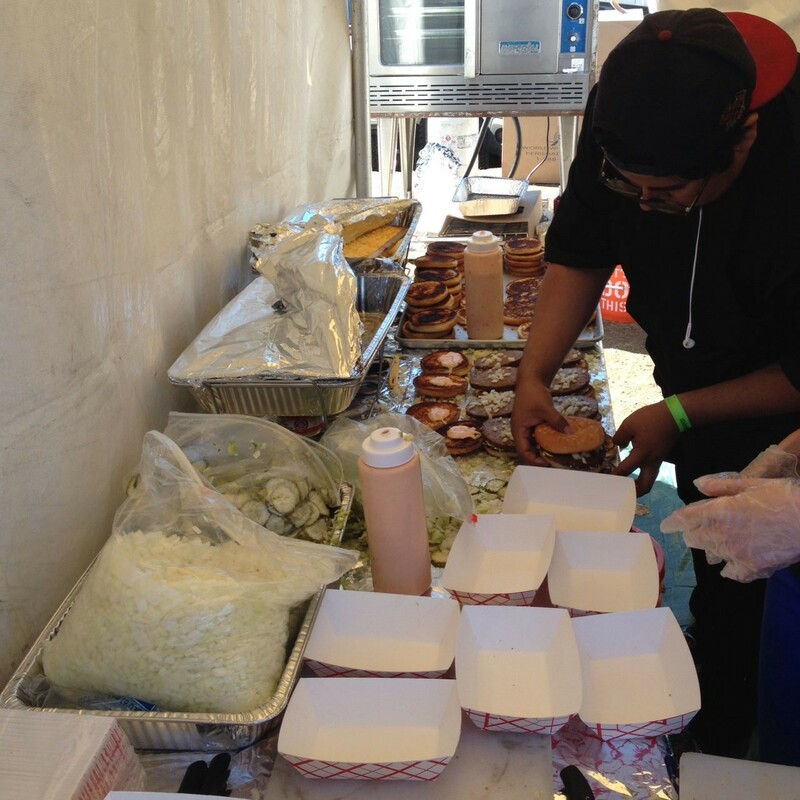 Sure you still had to pay for food, the vendors have to make a living! I was reading about Doomie’s on facebook during the couple weeks before the festival. Do you know what they were selling??? 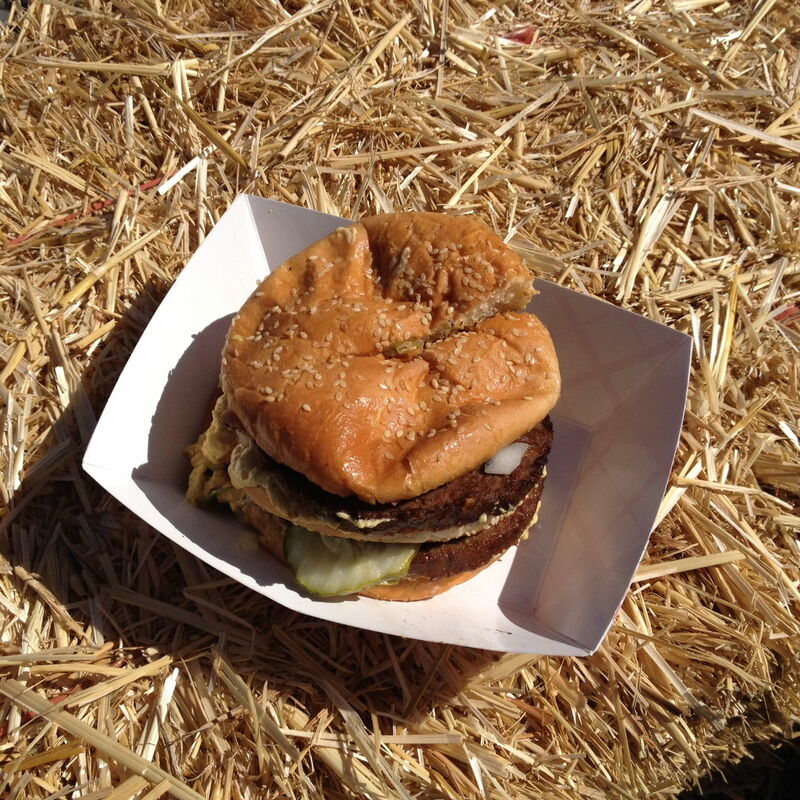 VEGAN BIG MACS. In case you can’t read the sign, the price is $15. This thing better be good. Here’s the Big Mac work station where they make a million at a time. 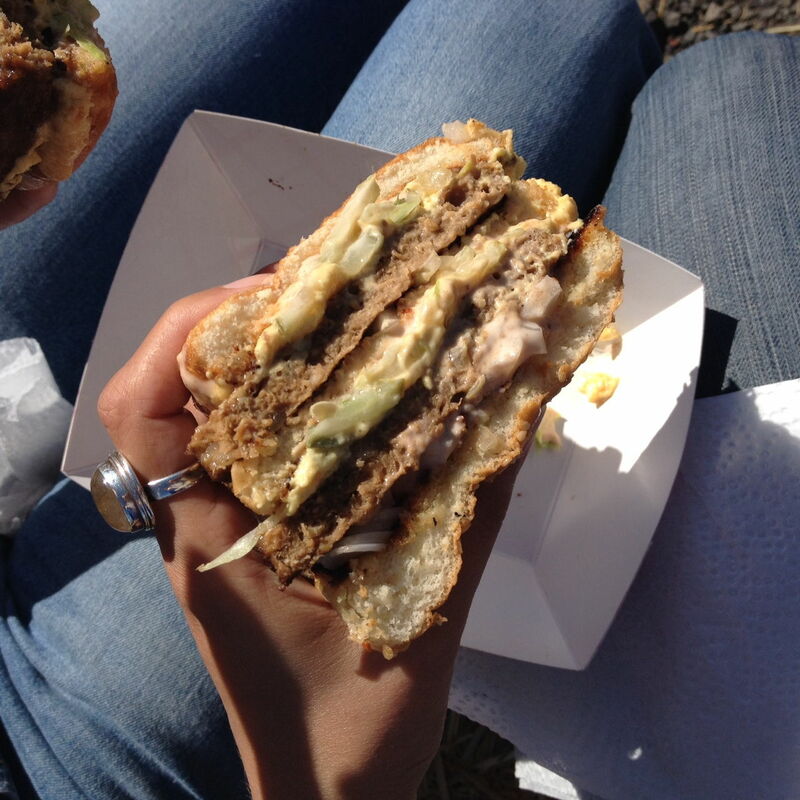 It got a little scrunched because they cut it in half for us – it’s big enough to feed two! 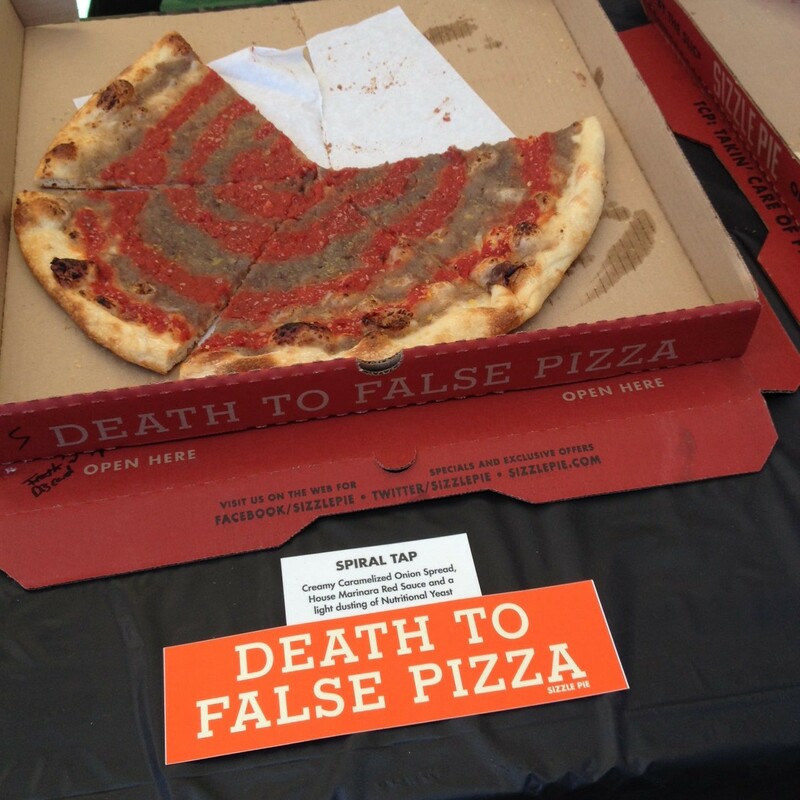 Next we got a big slice of Spiral Pizza from Sizzle Pie – I love their “Death to False Pizza” slogan! Delicious tomato sauce swirled with caramelized onions. We were pleased. 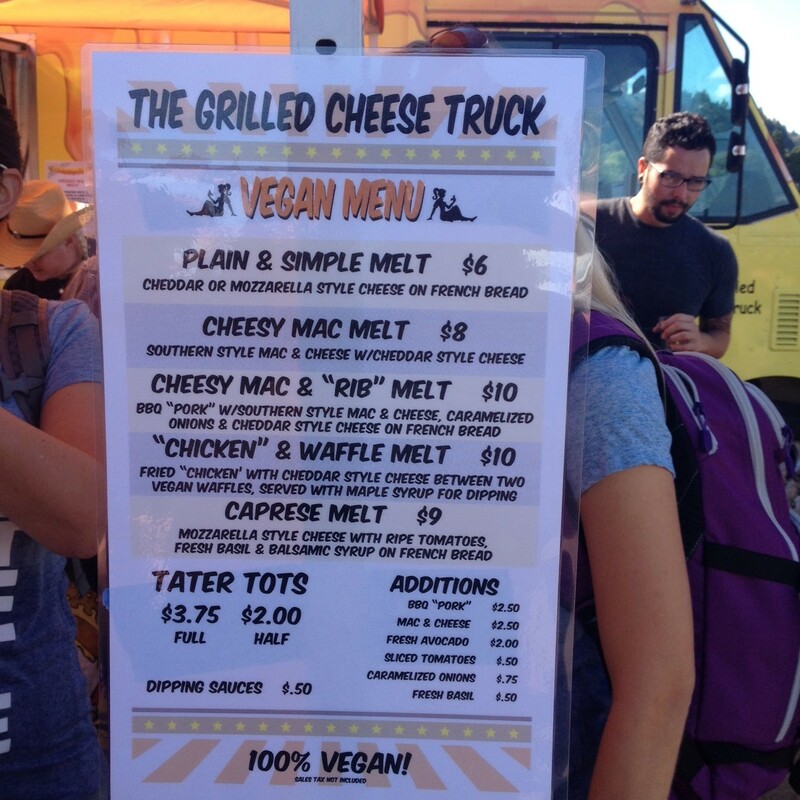 So this is another one I checked out before the festival, the Grilled Cheese Truck. 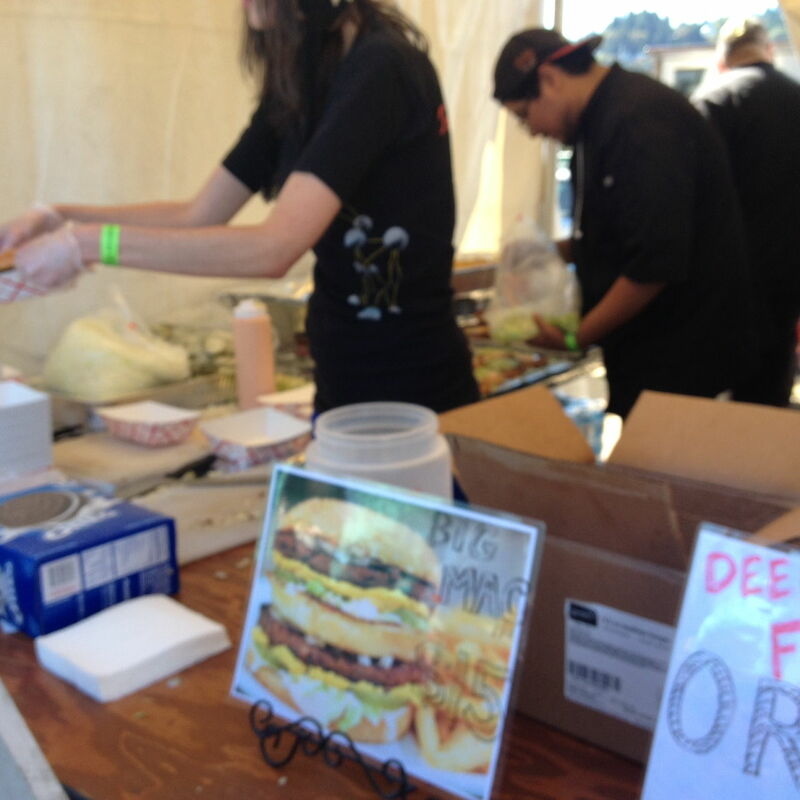 They’re not a vegan food truck, but they went vegan for the festival and I’m so glad! The menu was awesome, but I could only eat so much. 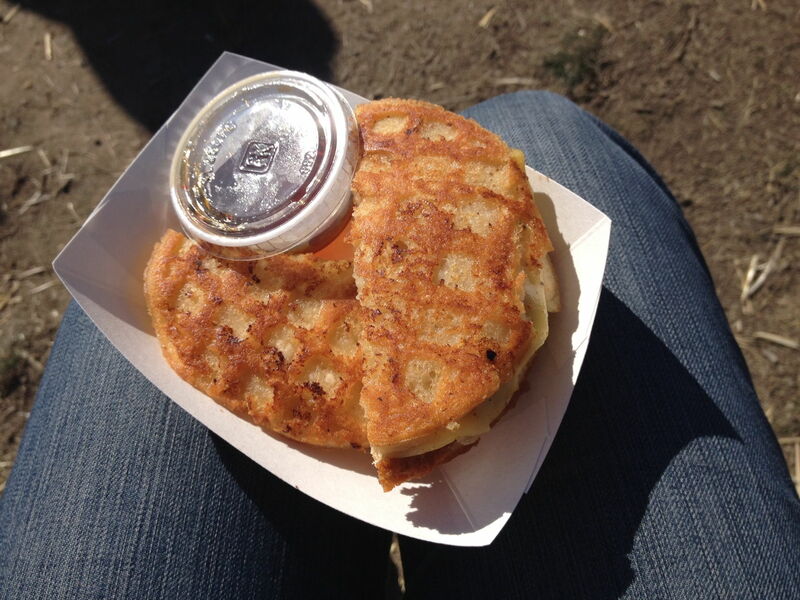 I went with the “Chicken” and Waffle Melt. I think they used the original Chao flavor for the cheese, it was very tasty with the maple syrup – my little cup tipped over in my dish and soaked one half of the sandwich, and I didn’t mind at all. 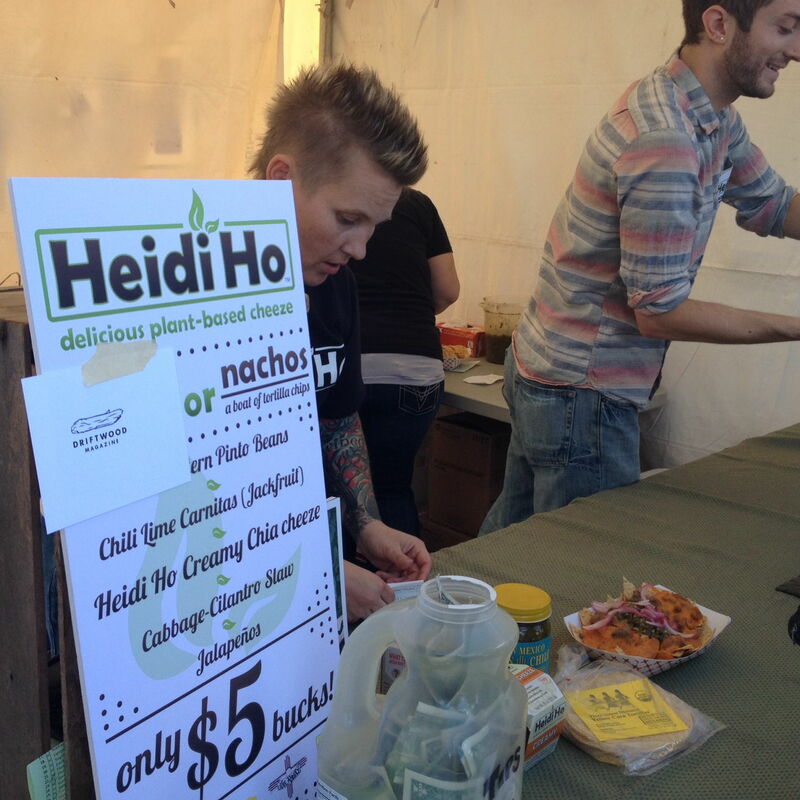 Next, BFF wanted nachos so we headed over to Heido Ho. I’ve seen their stuff at Whole Foods and tried one of their chia cheeses. 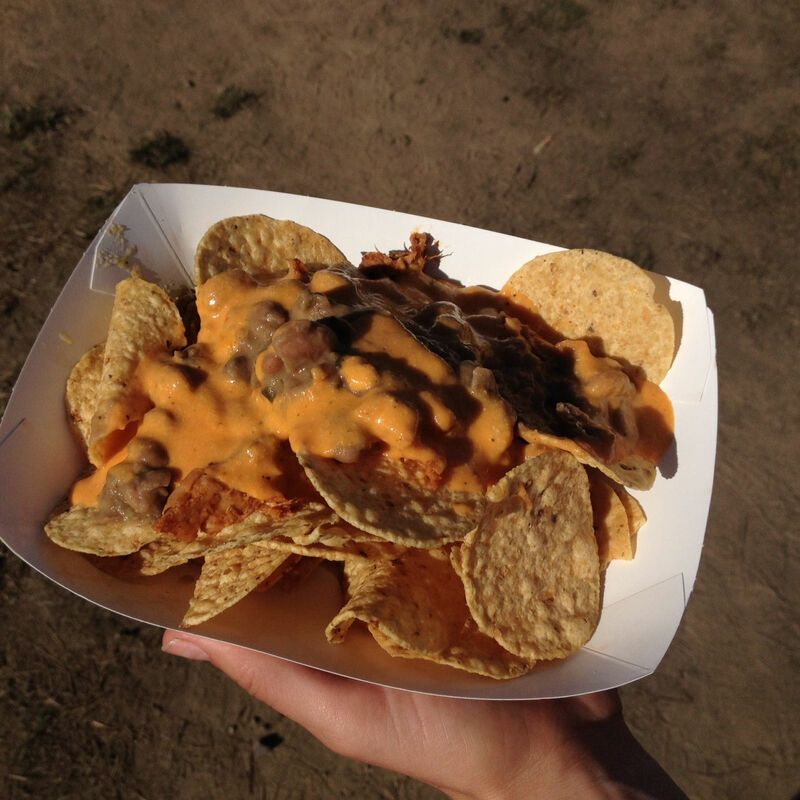 It didn’t really taste like cheese to me, but it was really good and really addicting. We had the same reaction to the nachos. Not really like cheese, but still delicious. Okay, now this time I was bad. 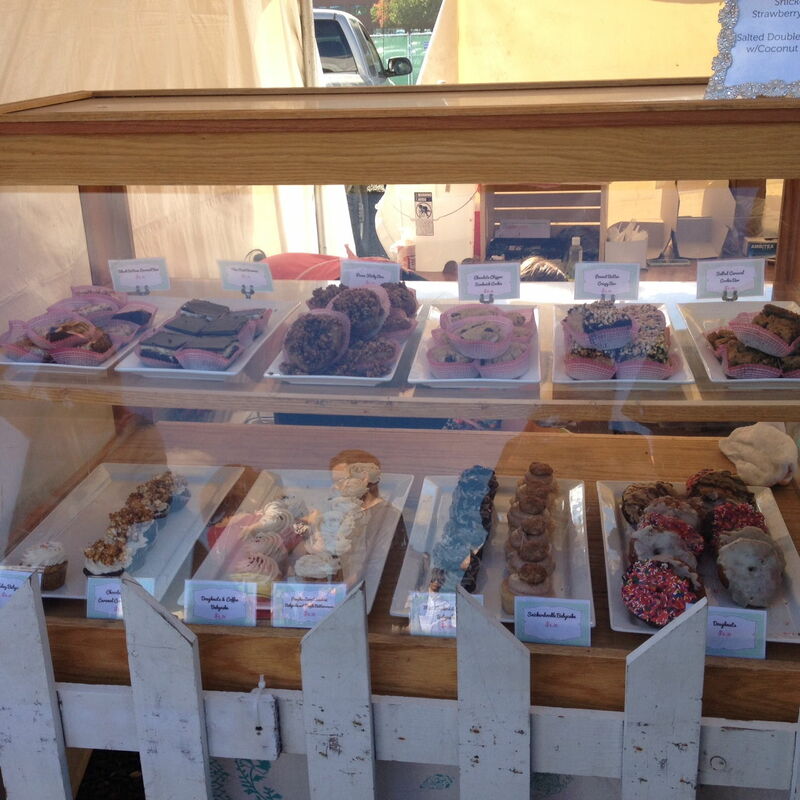 I found a place selling beautiful doughnuts, really, really beautiful – vegan and gluten free. And they had my old favorite, apple fritter. I forgot to get the name of the place, and…I was so happy to eat an apple fritter again, I didn’t even bother taking a picture. It’s not that I forgot, either. I just didn’t want to waste any time. But anyway, there were doughnuts. And lots of other great looking pastries I would’ve loved to try if I could fit them in my belly. That was all we purchased, but there were also a bunch of free samples. 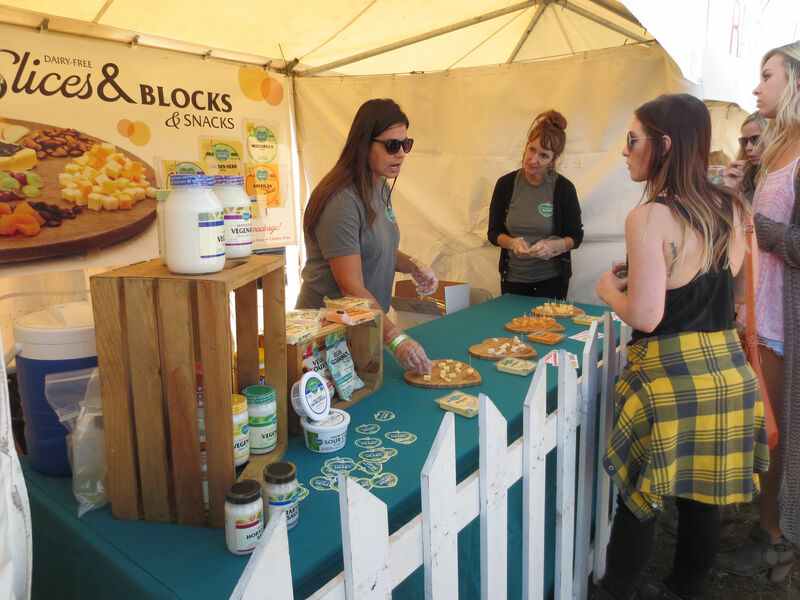 We visited the Follow Your Heart booth and tried a cheese sample. We also tried a raw cheesecake place that was great, and I found some curry flavored popcorn. And there was more than food for sale. 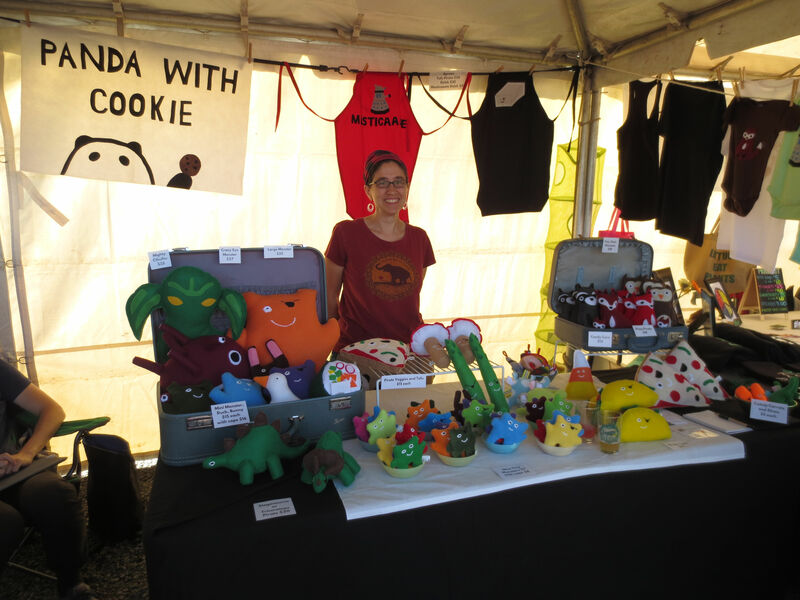 We checked out some awesome plushies from Panda with Cookie. We actually won a free ticket to the festival from Panda with Cookie, yay!!! I bought a special gift here for my nephew, but I can’t say what it is because we haven’t celebrated his birthday yet! I also got a lovely pair of laser cut deco-style earrings from Salty & Sweet <—-You can see all their cute earrings (and other stuff) on their website. We also got unlimited pours of kombucha and beer?! I guess I did, but here’s proof. BFF was happily checking off all the many kinds of beer she sampled (I think I had three) while I tried as many kinds of kombucha as possible. it IS a marching band! 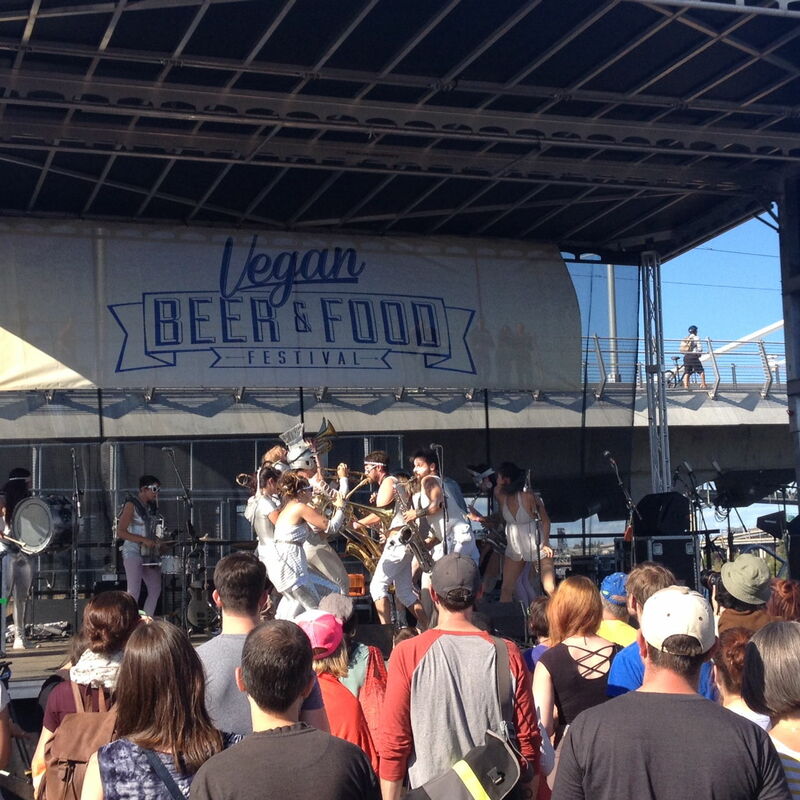 The Love Bomb Go-Go Marching Band. So that’s why we saw people walking around dressed like they were from outer space in the 1960s. 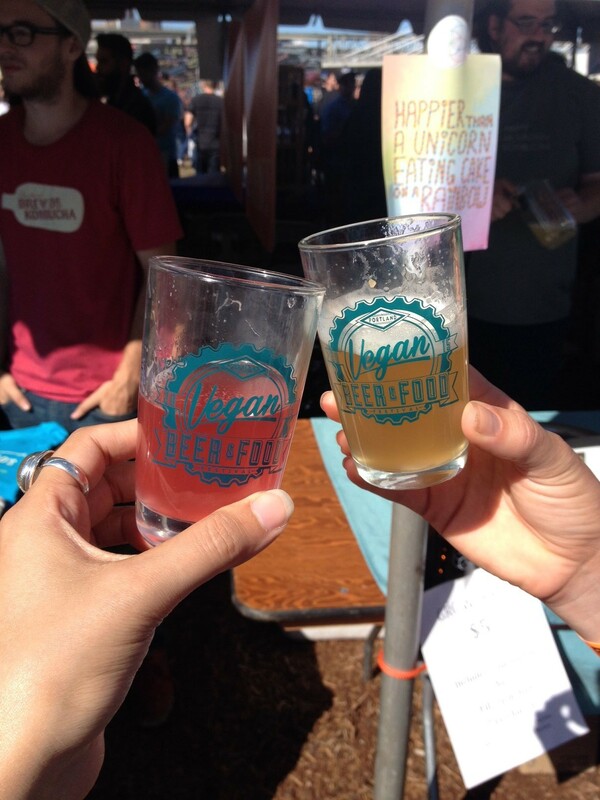 So it was the first ever Vegan Beer & Food Festival in Portland. Did many people attend? 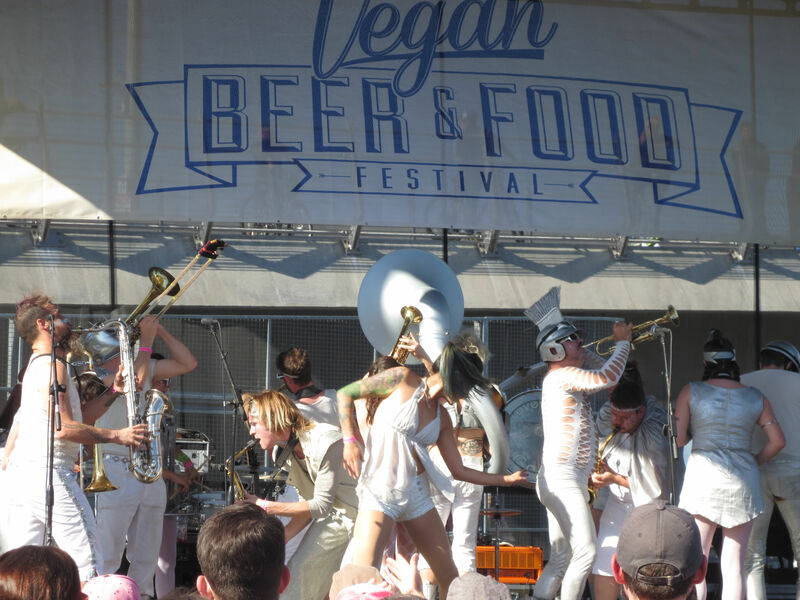 I’m not sure what the actual count was, but I’m glad I could be numbered among the throngs of the weird vegans of Portland. 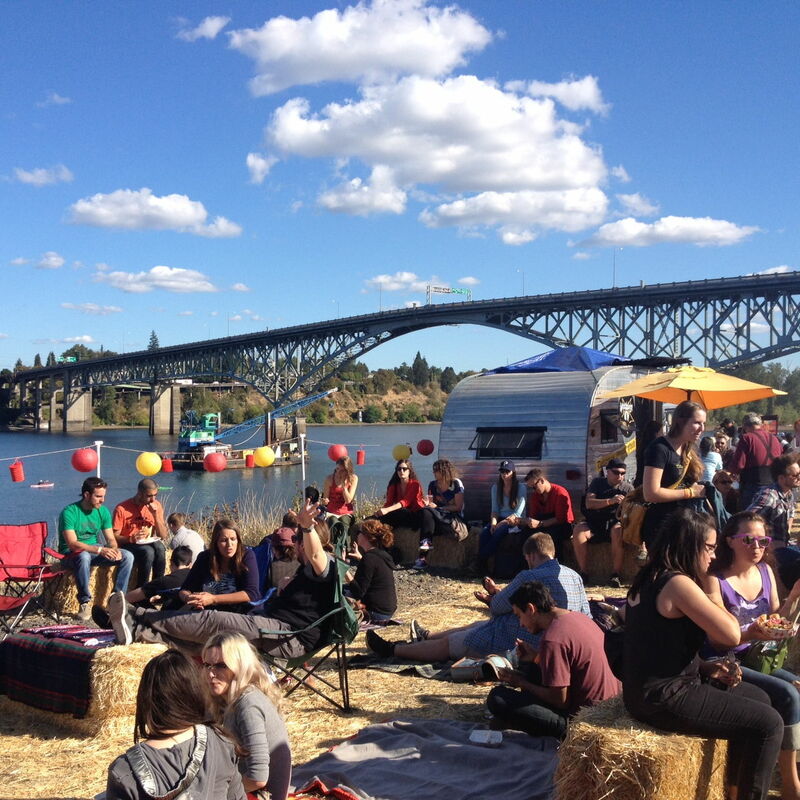 I hope this is what our VegFest is like in Grand Rapids next year. 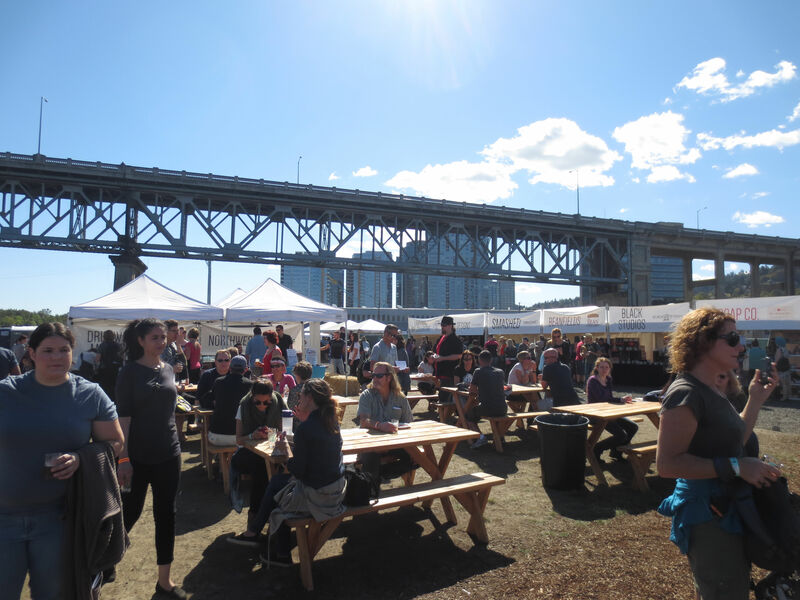 What vegan vendors would you like to see at a Vegan Food Festival?